Influence of Passive Joint Stiffness on Proprioceptive Acuity in Functional Ankle Instability. Deficits in ankle proprioceptive acuity have been reported in persons with functional instability of the ankle. Passive stiffness has been proposed as a possible mechanism underlying proprioceptive acuity. 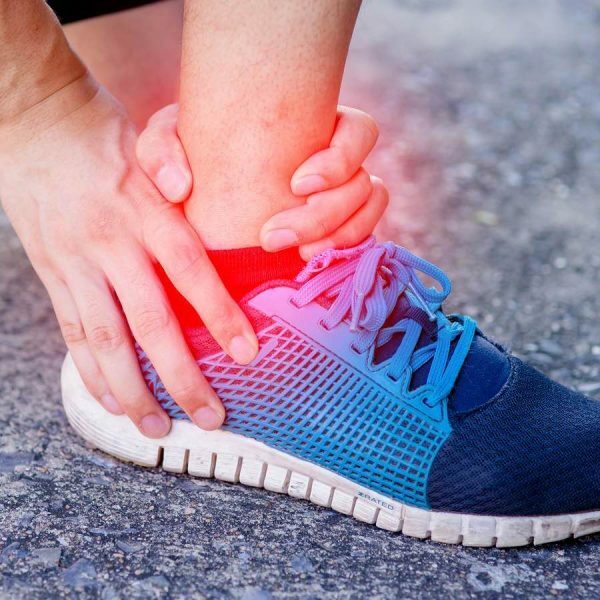 The objectives of this study were to compare proprioceptive acuity and passive ankle stiffness between persons with and without functional ankle instability, and to assess the influence of passive joint stiffness on the proprioceptive acuity in persons with functional ankle instability. Eighteen subjects with and 18 without complaints of functional ankle instability following lateral ankle sprain participated. An isokinetic dynamometer was used to compare motion perception threshold (MPT), passive position sense (PAPS), and passive ankle stiffness (PAS) between groups. To evaluate the influence of passive stiffness on proprioceptive acuity, individuals in the lateral instability functional group were divided into 2 groups: “high” and “low” passive ankle stiffness. The functional instability group exhibited increased MPT when compared with the corresponding limb of the control group. Between group differences were not found for PAPS and PAS. Those in the functional ankle instability group with higher passive ankle stiffness had smaller MPT than those with lower passive ankle stiffness. Unlike MPT, the PAPS is not affected by the presence of functional ankle instability. PAS appears to influence proprioceptive acuity in persons with functional ankle instability.